More and more people are venturing into the quail business due to the hype and frenzy in the country currently. Many are risking their hard-earned money without even doing enough market research. 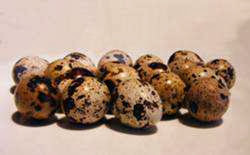 I had gone to visit my brother in Kamulu over the weekend and I heard him talk about the "magic of the quail business." He told me that he knew of somebody whose quail business was doing quite well and that he was also considering to invest in them. Of course, I'm not for that idea. Once upon a time in a village, a sharp man appeared from nowhere and announced to the innocent villagers that he would buy monkeys for KSH 300 each. The villagers, seeing there were lots monkeys, went to the forest and started hunting them down. The “good man” bought thousands at KSH 300 and as monkey supply started to fall, the poor villagers gave up their effort. The buyer further announced that he would buy each monkey at KSH 600. This renewed the hopes of the backward villagers so they started catching the few remaining monkeys again. Soon the monkey supply diminished further and the locals went back to their farms in peace. The offer later grew to KSH 750 each but the supply of monkeys diminished that it was an effort to even see a monkey jumping up and about. The sharp business-man now announced that he’d buy every available monkey at KSH 1000! However, his very able assistant would handle the business on his behalf since he had to go back to the city for some important business. The villagers gathered all their savings in one basket and bought all the monkeys each for KSH 750. To them this was a quick strategy to make KSH 250 for each monkey. Unfortunately, before they could know it, the assistant was gone and the businessman was nowhere to be seen, only noisy monkeys everywhere! * Could these quails be the next monkey business in Kenya? * What happens if every farmer buys quails who will they sell them to later? * Will we be left with useless quails everywhere? * Why is it that only few countries (mostly the poor ones like Kenya and Nigeria) are so much concerned about this business? *What is the future of this investment opportunity? In my opinion when the deal is too good; think twice. Don’t be fooled to invest all your cash and time in quails in Kenya. And if you must, be sure to do it early before the quail pyramid scheme comes down tumbling. Don’t buy quail birds in Kenya before you’ve done enough research.